Is there anything more charming than the curved lip of a Vietnamese pagoda, stacked sky-high like a sumptuous cake? 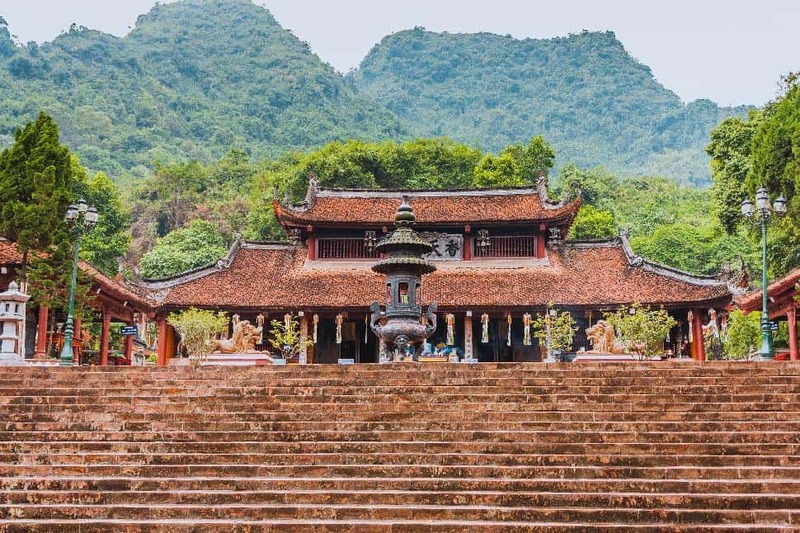 We love travelling Vietnam to admire these eclectic monuments, gates and temples, some looking as if they're about to be swallowed up by the jungle. And despite being founded hundreds of years ago, many are still functioning as modern religious centres. Here are seven to set your sights on. The One Pillar Temple was built by Emperor Ly Thai Tong in gratitude to the bodhisattva Avalokiteshvara who granted him a son. A monk advised the emperor to construct a pillar in a lotus pond and the temple stands atop this pillar. The design was meant to resemble a lotus flower, representing purity since the lotus produces beauty but grows in a mud pond. During the Ly dynasty many ceremony were held here honoring the monarchs and the Buddha. Sadly the original pagoda was destroyed during the First Indochina War and the current pagoda is a smaller replica of the first. The famed Vietnamese poet Nguyen Trai lived in the temple around AD 1400 and assisted Emperor Le Loi in the battle against the Ming dynasty. A temple honoring his deeds stands within the pagoda complex as well as a statue depicting his likeness. 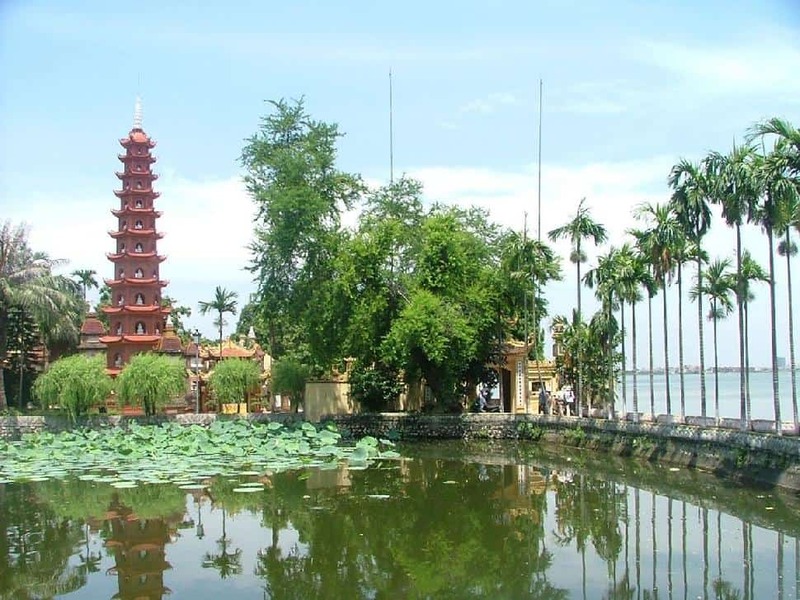 Located on a small island in West Lake, Tran Quoc Pagoda is the oldest in Hanoi dating from the sixth century. The temple originally stood on the shores of the Red River but was moved in 1615 when the river’s changing course threatened to destroy the pagoda. A small causeway links the island to the shore. In addition to the some statues and the stele telling the history of the pagoda, a special bodhi tree grows on the grounds. The legend is that it that was taken as a start from the original tree in India under which the Buddha sat and achieved enlightenment. Started in 1061 and dedicated to the monk Ngyuen Minh Khong in 1130, Keo Pagoda is known for its exceptional architecture. Almost all the buildings are completely original and even the roofing tiles were carefully placed to create a pattern. The wood used is carved, often depicting dragons and brilliantly painted statues are housed inside the buildings. A spring festival is held at the pagoada in January and a three day autumn festival takes place here annually. Residents of the province still honor the monk who saved the life of a king and to whom the temple is dedicated. The Perfume Pagoda is actually a complex of temples and shrines that are built into the Huong Tich mountains. The temple dates from the 15th century and repairs and renovations are constantly undertaken. Many legends describe the temple and it’s thought to be a place of exceptional spirituality. This is one of the more active temples and is used by Buddhists and other religions. Many people undertake a pilgrimage to the temples, preferably arriving by boat and following a prescribed path that includes washing in a well that Buddha may have used. After washing away past karmas, pilgrims travel to Huong Tich Cave, the spiritual centre of the complex. 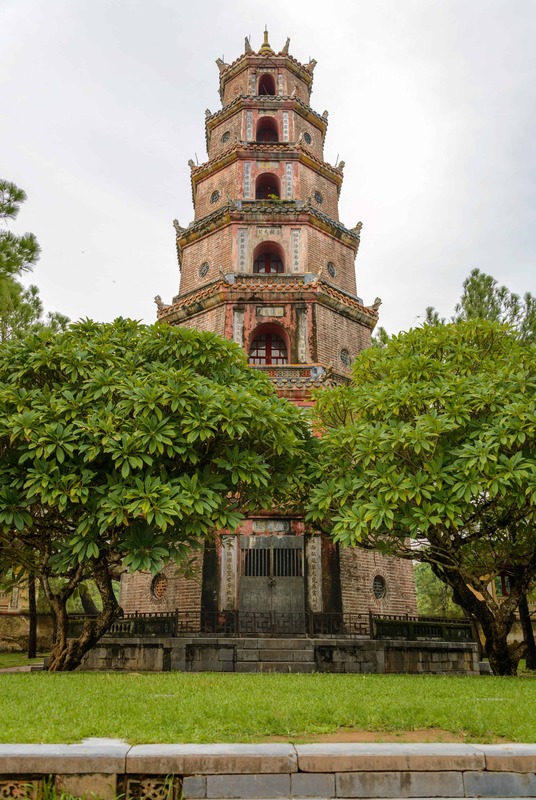 The Dâu Pagoda marks an ancient centre of Buddhism and is still an important, functioning temple. It dates from around AD 200 making it the oldest documented Buddhist temple in the country and was a stopping point for travellers heading north to south. Included among the historic buildings are a number of wooden and stone statues that date from the 10th century or earlier. The three-story tower houses a bronze bell and gong that were cast around 1800. The pagoda is host to an annual festival that takes place in the Fourth Lunar Month (April) and draws many worshipers from around the Red River Delta and northern Vietnam. Anthony Tong LeeAt seven stories the pagoda is the tallest religious building in the country. It’s also the unofficial symbol of the former capital and much sung about in folk songs and stories. It was built when Thien Mu – the celestial lady – prophesied that a temple would be built where she sat. The governor of the region heard the tale and immediately ordered that a temple be built. Many emperors have added to the original temple, building towers, installing bells and contributing statues. In recent years the monks of the temple have been politically active and the area around the pagoda is periodically closed to traffic. 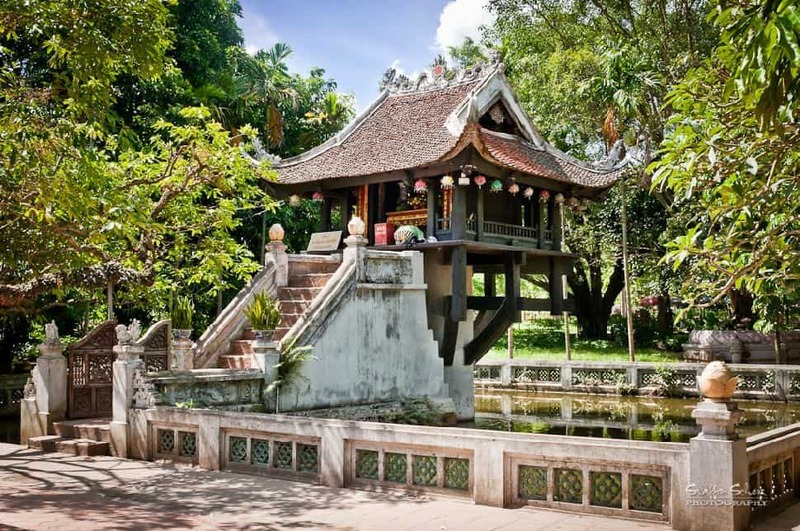 Do you have a favourite Vietnamese temple?